Discovering the true essence of Denali starts with getting to know a few basic things. Are you ready to learn exactly where this alluring destination is and what attractions you should explore? From Denali, the nation's capital, Washington, is 3,400 miles (5,472 kilometers) to the east. Purchase your Denali accommodation and flight package via Travelocity, and watch how much you save. With no less than 400 airlines and 665,000 accommodations, you'll have a world of choice at the tips of your fingers. Our Customer 1st Guarantee gives you the added security of 24/7 personal assistance on everything from accommodations and flights to car rentals and activities. Have you come across a better deal elsewhere? We'll match the price and reimburse the difference^. If you want to change your travel bookings for any reason at all, there won't be any hidden charges from us. And so long as you get in quick, many accommodations won't charge a fee either^. Where do you fly into for Denali? Slip on your headphones and watch a couple of in-flight films. In no time at all, you'll be landing at Talkeetna Airport (TKA). It's approximately 60 miles (97 kilometers) from downtown Denali. 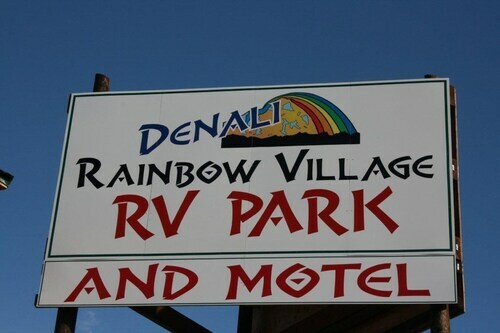 Can I rent a car in Denali? Grab a rental vehicle via Travelocity for your travels in Denali. You're sure to uncover some amazing sights along the way. Ready to go mountain climbing? It's among the most popular things to do in the wider region and the perfect excuse to get out into nature. The fun doesn't have to stop there. Consider going hiking as well. If you've explored the best of Denali and have a few more days up your sleeve, head on over to Trapper Creek. Here, it won't take you long to find things to see and do. The Talkeetna Historical Society Museum and Walter Harper Talkeetna Ranger Station and Talkeetna Riverfront Park are our favorites in this region. Take a whole day here and try to stop at all of them! 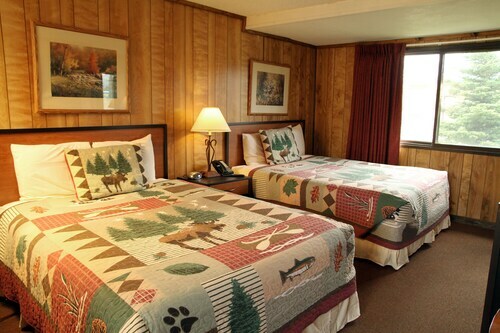 Situated in Healy, this motel is 0.9 mi (1.5 km) from Black Diamond Golf Course and within 12 mi (20 km) of Denali National Park Visitors Center and Wilderness Access Center. Stampede Trailhead is 13.2 mi (21.2 km) away. 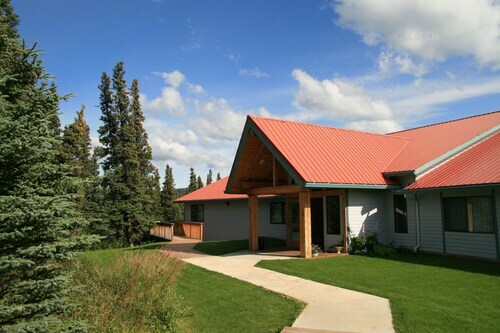 Situated in Denali National Park, this motel is 2.2 mi (3.6 km) from Wilderness Access Center and within 9 mi (15 km) of Denali National Park Visitors Center and Black Diamond Golf Course. Stampede Trailhead is 20.3 mi (32.6 km) away. 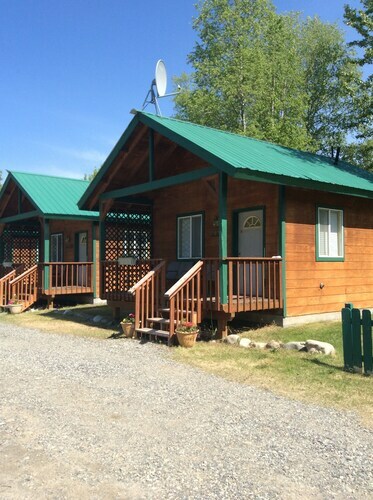 Situated in Healy, this golf motel is 3.3 mi (5.4 km) from Black Diamond Golf Course and 9.7 mi (15.6 km) from Stampede Trailhead. Denali National Park Visitors Center and Wilderness Access Center are also within 16 mi (25 km). 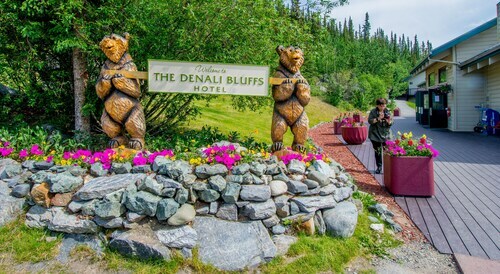 Situated in the mountains, this hotel is 2 mi (3.3 km) from Wilderness Access Center and 3 mi (4.8 km) from Denali National Park Visitors Center. Black Diamond Golf Course is 9.4 mi (15.1 km) away. 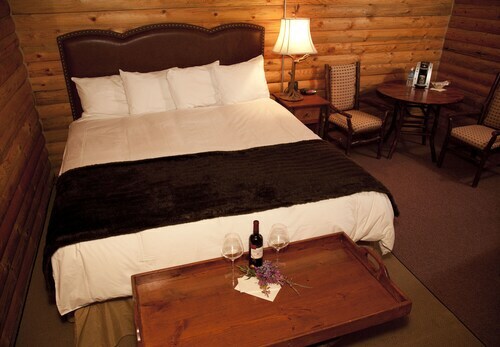 Situated in Talkeetna, this cabin is within a 5-minute walk of Talkeetna Historical Society Museum and Aurora Dora. Walter Harper Talkeetna Ranger Station and Talkeetna Riverfront Park are also within 10 minutes. Talkeetna Station is 5 minutes by foot and Talkeetna Station is 6 minutes. Situated in Healy, this cabin is 3.2 mi (5.1 km) from Black Diamond Golf Course and 9.9 mi (15.9 km) from Stampede Trailhead. Denali National Park Visitors Center and Wilderness Access Center are also within 16 mi (25 km). 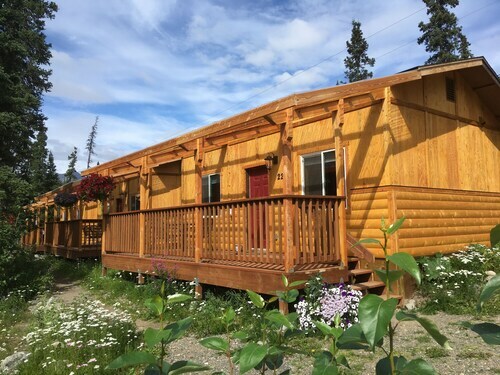 Situated in a rural location, this cabin is 14 mi (22.5 km) from Wilderness Access Center and within 25 mi (40 km) of Denali National Park Visitors Center and Black Diamond Golf Course. 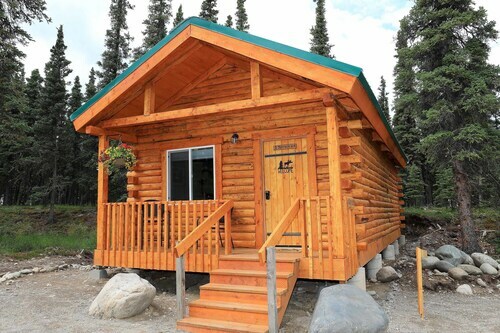 Situated in Denali National Park, this cabin is 2.1 mi (3.4 km) from Wilderness Access Center and 3 mi (4.9 km) from Denali National Park Visitors Center. Black Diamond Golf Course is 9.3 mi (15 km) away.